The main conference venue is the Marriott in the historical centre of Prague, V Celnici 8 Prague 110 00 CZ. It will host all events except Sunday workshops. The hotel is in a pedestrian-friendly area, very short walking distance to tourist attractions, shopping centres and public transportation. The Trip Advisor ranking of the hotel is 99/664 (5*, Certificate of Excellence 2014). There is wired and wireless internet connection in guest rooms and meeting rooms. 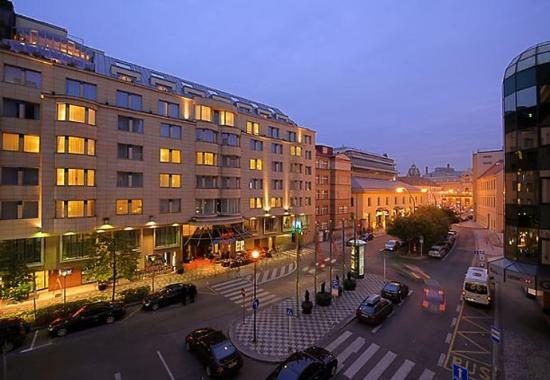 The hotel is opposite the Hilton Prague Old Town Hotel with an indoor swimming pool and a ranking of 81/664 (5*). The hotels are 30 minutes drive from the airport - the airport shuttle stops just in front of Hilton. Instructions on how to book a guest room are available here. When using public transportation, look for stops "Masarykovo nadrazi", "Namesti Republiky" or "Mustek".